Wondering how to enhance production workflow for your wide format jobs? Look no further than the Konica Minolta EFI Fiery proServer for KIP C7800 printer. With an endless amount of wide-format production features and state-of-the-art tools, your wide format print jobs just got a lot easier. The EFI Fiery proServer offers an intuitive user interface and parallel processing of multiple jobs. Some of the many great features of this proServer include custom tiling for big jobs in different tile counts and sizes with an intuitive user interface, and the ability to save pre-sets to make reprints a one click operation. With an EPI Fiery proServer, you can easily do layout nestings, job-based color adjustments or apply grommet and cut marks. Increase the productivity, performance, and efficiency of your KIP® C7800 on every job – while producing consistent and accurate color on banners, maps and posters. We knows how important print quality is when it comes to client files. The EPI Fiery proServer ensures file integrity, using the latest Adobe PDF Print Engine (APPE), paired with an optimized code base to ensure the print quality is top notch every time. Not only is quality a priority with this machine, but it also offers the highest color accuracy with pre-installed color profiles for the most common media and screens. Keep saturated tints clean and crisp with the smart color workflow of Clean Color Technology and Dynamic Rendering Intent.The Spot Color Option delivers true color output of spot colors and includes color libraries from Pantone, HKS and HKS 3000 Plus, Toyo and DIC. Leave the guesswork out of it; the EFI Fiery proServer automatically detects the best color compression method. Minimize setup and integration time with a hassle-free, pre-configured System Fiery XF installed and burned in. Workflow setup is equally easy with included profiles for six high-quality screens and five different media. Feeling overwhelmed? Get direct access to experienced EFI support staff with the included 12-month software support and maintenance contract. While on contract, free software upgrades keep your system up to date. If you’re already using other EFI Solutions, enjoy seamless integration with other EFI products, such as Pace™ and Digital StoreFront®, to create an end-to-end, automated workflow that eliminates touch points to improve speed and accuracy. If you’re interested in learning more about how the Konica Minolta EFI Fiery proServer for KIP C7800 printer can help your business, feel free to contact your local Caltronics Business Systems and one of our service specialists will contact you momentarily. This entry was posted in Konica Minolta, Products, Services and tagged Caltronics, computer services, Konica Minolta, printing solutions on January 20, 2015 by riehlt. How Can Caltronics Help the Legal Sector? 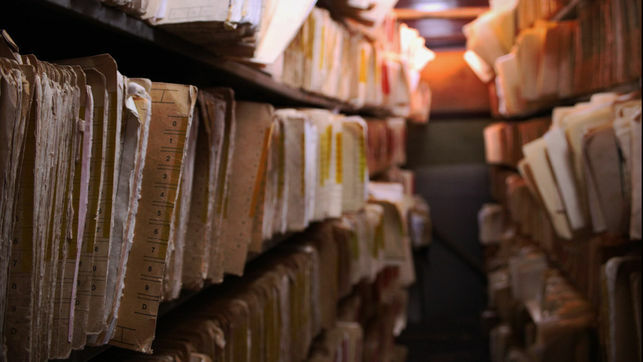 Maintaining countless legal records is no easy task. With civil case filings increasing nationwide annually, legal data management is now more important than ever. Secondary to maintenance is time management and cost efficiency; both of which are critical to overall workflow. Legal professionals need a winning combination of hardware, software, and services that solve business problems, improve processes, and create opportunities to be more profitable. For nearly four decades, Caltronics has been a trusted leader in the California document management industry, providing best-in-class devices, technology, and support that assist law firms of all sizes. With our help, legal professionals are able to streamline legal data and record management efforts with ease in a secure and efficient way to achieve goals. Whether it be hard-copy or electronic document images, we have an excellent and cost-effective business solution for organizations entering the short-run book printing market. Caltronics provides machines that deliver high-speed, high-quality output at speeds upwards of 250 ppm in color and B&W to keep your legal documents moving with optimum output. In addition, personalized features like automated toner replenishment, proactive service monitoring, and customized invoicing allow for increased print/copy productivity and reduced expenses. As a result, clients are able to print files at a faster rate and at a higher quality without opening additional software programs. Count on Caltronics to help you create and scan professional documents in minutes. Save time and money when producing legal binders with tab pages and cover sheets with tab printing direct from standard print drivers. Integrate your 3rd party software with ease and allow hardware and software to work together flawlessly with the help of our HP Technicians and award-winning customer support to maximize system capabilities. With incomparable customer service and comprehensive training, we pride ourselves on communicating technical aspects to our customers in an easy to understand format with unrivaled support and maintenance of equipment. We understand the importance of confidentiality when it comes to legal record management which is why we offer the most advanced solutions for legal professionals. For example, security options on Konica Minolta bizhub devices include: keyword password, standard PIV/CAC identification card, HID Card, Biometric Authentication, HDD overwrite, Copy Guard Kit and Unity Desktop Professional software that offers a full range of legal printing capabilities including watermarks, stamping, overlays and more. This entry was posted in Solution and tagged bizhub, business solutions, legal help, printing solutions on January 13, 2015 by riehlt.